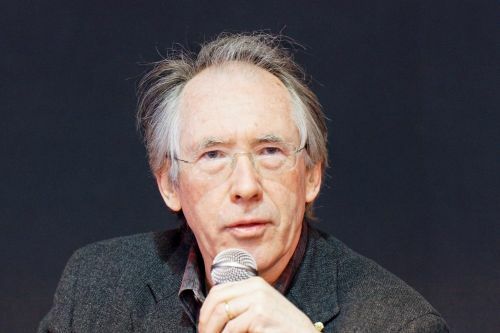 Ian McEwan is an English novelist and screenwriter. McEwan got his BA in English Literature from the University of Sussex and his MA from the University of East Anglia. He has won several awards, including the Somerset Maugham Award, Whitebread Novel Award, Prix Femina Etranger, Shakespeare Prize, WH Smith Literary Award, National Book Critics’ Circle Fiction Award, Los Angeles Times Prize for Fiction, Santiago Prize for the European Novel, James Tait Black Memorial Prize, Galaxy Book of the Year and the Reader’s Digest Author of the Year. Ian McEwan Synopsis: In Amsterdam by Ian McEwan, it’s a chilly February Day and two old friends (Clive Linley and Vernon Halliday) are meeting in a crematorium in order to pay their final respects to Molly Lane. They were both past lovers of Molly’s, but now Clive is Britain’s most successful modern composer and Vernon edits the broadsheet known as The Judge. And they aren’t the only ones Molly had been with, like Foreign Secretary Julian Garmony, who is looking to become the new prime minister. What happens after Molly’s funeral shakes the lives of all of her ex-lovers.